It's traditional at the beginning of the year to define what you'd like to achieve in the coming twelve months. Last year I didn’t set for myself many goals. Didn’t even make a resolution. But I’m doing that right at the beginning of this year. I think publishing it here on my blog serves as some kind of reminder to me – it screams, ‘Kaykay, are you keeping to your resolutions?’ And it brings me back on track when I’m drifting away. These are my goapes for the year. Goapes? Yeah! The word sounds funny to me. I wish it would be included in the English Dictionary. Anyways, it’s just a mesh of the words GOALS and HOPES. You’re free to use the word too. Why not use goals or target? Sometimes fate plays with us like it played with me on 23th August last year. Do I sound Iike a pessimist? I hope I don’t. All I can do is to pray such stuff doesn’t happen again, and always wish for a better year. - Post regularly on this blog, at least once a week. - Write a review on every book I read. - Polish my YA Urban Fantasy manuscript (The Road Taken) to the best of my ability by the end of January. - Have The Road Taken read by at least two or three beta readers by the end of March. - Have The Road Taken professionally edited by the end of May. - Send out a minimum of 10 queries to suitable agents in June. - Polish The Intersection, second book in The Road Taken Trilogy to the best of my ability by the end of November. - The last one’s more of a prayer – praying that my leg heals and becomes stronger than before. Also wishing myself and everybody good health this year. - NB: I’d let you know when I score any one of these goapes. Happy goaping, friends. I really hope you all have a wonderful year. Get on the goaping mood and let’s make 2013 a better year. All those sound great. I'm with you on making 2013 a better year. Thanks, Robyn. Wish you the very best. Also wish that you'd be strong enough to complete your 2013 projects. New follower here...good luck with those goapes! Sounds like you have a good plan in place! Thanks, Millie. Wish you the best too as you start your 2013 projects. Thank you, Ruby. 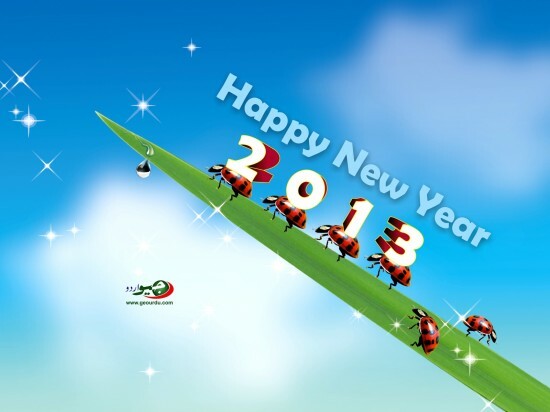 Wish you the best too with your 2013 projects. I'd visit your blog with the link you left and join too. Thanks, Lectus. Happy New Year!!! I just joined your blog now with the link you left. Please join me! I have a blog as well as a facebook!!! FOLLOW ME AND I FOLLOW YOU!!! My follow name is Beth Edwards!! Hi, Beth. Thanks for stopping by my blog and following too.